There comes a time for many people when they’re facing bankruptcy and wondering what it will do to their credit report. Even if you have responsibly managed your money things can happen such as a divorce or an accident that puts you out of the workforce. Do not let people make you feel bad about this. Maybe your medical bills were just way higher than you could’ve anticipated. Maybe someone stole your identity and fixing it has become too much of a problem. Whatever the reason is don’t fear because the bankruptcy system was set up to help you reset if you get into one of these extremely difficult situations. It is not really designed to wipe you out but to give you a second chance. 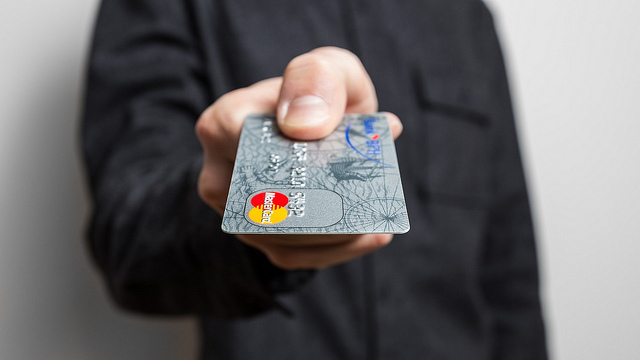 How Will Chapter 7 or Chapter 13 Bankruptcy Affect My Credit Report? Most people will file for either Chapter 7 or Chapter 13 bankruptcy. In brief Chapter 7 is the kind of bankruptcy that discharges almost all your debts. Chapter 13 is more of a reorganization of debt with a plan to pay creditors back over 3 to 5 years. Both of these types of bankruptcy will show on your credit report and public records for up to 10 years but they will have less and less impact on your credit score as years go by. Of course this is only true if you make moves to help improve your credit after bankruptcy. Things like paying all of your bills on time, getting secured credit cards, and keeping balances below 25% of your credit limit per card can help you get a better score within 3 to 5 years. While we hear about credit reports all the time they are not the same as our credit worthiness. You can pay your credit cards faithfully but still have a worse credit rating than someone who doesn’t if your income to debt ratio is too high. Creditors might consider you a risk because you don’t seem to be able to pay off the amount of credit you already have. For many people discharging the debt can actually raise their credit rating because you cannot declare bankruptcy again for eight years between Chapter 7 bankruptcy claims. For others it will hurt their credit rating. Sometimes the amount of debt discharged during bankruptcy can affect your credit worthiness for certain creditors. Declaring bankruptcy or even beginning the process and stopping before discharge will all be reported on your credit report. If you do declare bankruptcy you should see on your credit report the words discharged by bankruptcy or debt included in bankruptcy and a zero balance next to the charges. If you do not see a zero balance you should contact the credit reporting agency and dispute the claim. You are entitled to see your report every year from all three companies and you can dispute the charges without hiring a company. Talk To A Lawyer About Declaring Bankruptcy And Which Option Is Best For Your Particular Credit Reports. If you are considering bankruptcy it is helpful to consult with a bankruptcy lawyer to determine what your best option is and how much impact this will have on your credit report. Bankruptcy doesn’t have to ruin your life but the more information you armed with at the start the more successful you can be at starting over. About the Author: Alejandro Uria is a guest blogger in Lista Legal, an online attorney directory. The information on this article is for educational purposes only and under no circumstances it should be taken as legal advise.